Plymouth is one of the UK’s centres of marine activity and associated businesses. What areas of Marine Law do we cover? We provide legal services in the Westcountry, across the UK and internationally on behalf of vessel owners, harbour authorities, marinas and various suppliers to the marine industry. We work closely with owners and insurers in response to alleged regulatory offences and legal enforcement; we also advise in areas of accident investigation, collision and salvage claims, personal injury, professional negligence and sale and purchase agreements. Our aim is to reach the best outcomes for clients through a focussed, practical and economic approach. Disputes can often be managed through alternate dispute resolution that does not involve a Court appearance. If matters have to be pursued in the Admiralty Court in London we have access to appropriate barristers and expert witnesses such that contentious cases that must proceed in the Admiralty Court can be undertaken from our offices, as well as cases in other regional courts. 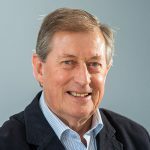 The team is headed up by Guy Walker who is a Yachtmaster, a member of British Marine, the YBDSA and the Professional Negligence Lawyers Association. Guy’s email address is [email protected] and you can call him on 01752 827040 or on his mobile 07831 195438.